Big bad laughs from the daddy of chuckles. 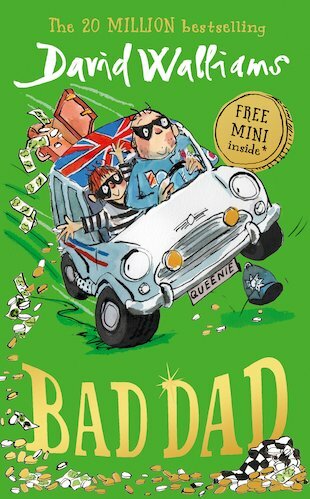 A fast, furious riches-to-rags story – daft, cheeky and totally heartwarming! Dads come in all shapes and sizes. There are fat ones and thin ones. Tall ones and short ones. Silly ones and serious ones. And, of course, there are good dads and BAD dads. Bad dads – like Frank’s dad! He’s been thrown into jail for driving the getaway car in a bank robbery. But Frank knows his dad’s not really bad. Frank needs to break him out of prison. If they can put the stolen money back, maybe things will be okay. But will evil crime boss Mr Big ruin Frank’s plan?